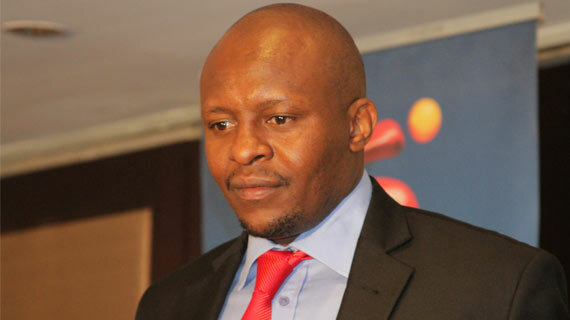 SuperSport East Africa General Manager Auka Gecheo has said The Kenya basketball league has the potential of becoming one of the greatest leagues in Africa. Gecheo was speaking last weekend in Mombasa when he handed over 8 Million shillings worth of sponsorship towards the support of the Kenyan league. “We are starting to see that basketball is moving in the right direction. We are most excited about nurturing such a sport to appeal to a wider audience in Kenya just as we have been able to achieve with football in the eight years we have been in the industry. Already, 8 games down the line the 2014 season is already giving fans a lot to be excited about than in previous seasons,” Gecheo added. Kenya Basketball Federation Chairman Paul Otula applauded the partnership saying it will help grow the game while also offering national teams’ great benefits. “We are grateful to our partners for the support and we hope all the teams will show their commitment to the game as we seek to raise our standards,” he said. In total, the Kenya Basketball Federation has received 12 Million shillings (8 from DSTV/Supersport and 4 Million from Menengai Oil) for this season’s league action. This is the first major sponsorship for Kenya Basketball and is expected to excite better action and improved performances from teams.